This book is an attempt to enter one unexplored ruin of the historical landscape, the relics left behind by a set of beliefs once acceptable. They were held by men who were socially and intellectually respectable and who prided themselves, often, on their practical grasp of public affairs. They are ideas now generally thought to be nonsense, but they were once effective and influential. Moreover, they were often elaborately articulated; this essay is a reconnaissance in an area of highly organized nonsense. Even now, too, some people would deny that it is nonsense. There are still those who think that secret societies are operating in the world about us and operating to such effect that virtually everything unpleasant which happens can be attributed to them. (The view that the pleasant things can be attributed to them is only held by a still smaller number among those who actually belong to secret societies.) Nevertheless, such believers are a minority. They are not esteemed for holding their views, which rarely win a hearing in the authoritative journals of opinion, still less in those of scholarship. The intellectual tone of our society is against them; it prefers other mythologies. Credulity in these matters has not been confined to continental Europe. An English lady has revealed in her autobiography how an academic study of the French Revolution gave her the key to the great events of her own times. Bolshevism, she quickly saw, was only ‘Jacobinism under another name, the same aims, the same methods’. It was part of the same ‘gigantic conspiracy of the same dark directorate against the whole structure of Christian civilization’. In work she had believed to be only historical she had unwittingly ‘entered the lists against terrific living forces of which I had not guessed the existence. 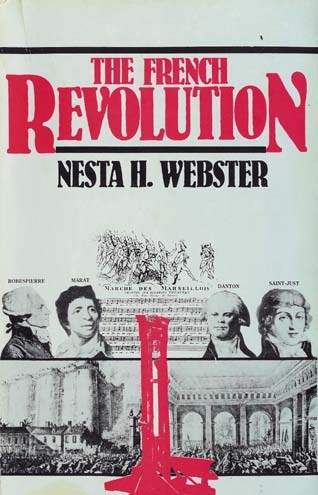 My whole life was now to become a prolonged contest with these unseen powers.’6 Nesta Webster waged this struggle with such vigour and success that a stream of popular books resulted. One on Secret societies and subversive movements, first published in 1924, went into an eighth edition as late as 1964. In World Revolution. The plot against civilisation7 she traced all the great revolutionary upheavals since 1789 back to a common source in an eighteenth-century Bavarian society. In Surrender of an Empire,8 the Wafd, Sinn Féin, Zionism, and Bolshevism are all seen as examples of the same great threat. The acceptability of these ideas to the British and American public was shown by the reprinting of her books. Another way of bringing this world of fantasy into historical perspective and of conceiving the impression it could produce is to recall how much of it was believed by very eminent and powerful people, in positions of great responsibility. Bismarck’s fears of social revolution after the Paris Commune may be thought exceptional, and the pronouncements of the Vatican too specially interested, but a sufficiently startling example can be found at the very centre of British nineteenth-century government. It was in 1870, the year before the Paris Commune, that a former Prime Minister of the United Kingdom wrote the words: `It is the Church against the secret societies. They are the only two strong things in Europe, and will survive Kings, Emperors or parliaments.’ Admittedly, Disraeli put these words into the mouth of a character in one of his novels, but he certainly held views like these for most of his life. In 1870 he still had nearly six years further office as Prime Minister ahead of him; such assumptions, therefore, have been practically important. There is at least as much reason for taking them into account in assessing him as for considering, say, Mackenzie King’s fondness for discovering messages in the patterns left by tea-leaves in teacups. Perhaps fortunately, perhaps unfortunately, prime ministers are not more immune to irrational conviction than other men. But for present purposes, this is not the main interest of Disraeli’s views. The best reason for paying attention to them here lies not in their possible effect on his behaviour but in the acceptability he felt they would command. Such ideas were the common intellectual furniture of the minds of his contemporaries; this is why they provided a good focus for his novel. 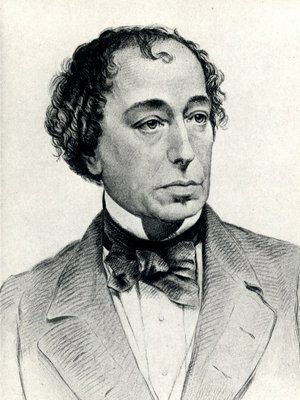 For once, Disraeli is significant as a typical rather than as an eccentric figure. His words expressed a widely held mythology and Lothair, the novel from which they are taken, became, almost at once, a best-seller in both England and the United States. Some of its success must have been due to the eminence of the author and his known skill in writing an entertaining tale. It also probably owed something to the topicality of its theme, the spiritual turmoil of a young English nobleman oppressed by religious uncertainty and obsessed by the need to make proper use of his vast fortune. He thinks of building a huge cathedral, but, unfortunately, cannot make up his mind who should minister in it. His religious allegiance is in fact disputed between Rome, Canterbury, and what may be called natural religion. Each of these is represented by a female protagonist. Theodora, the exponent of natural religion, is one of Disraeli’s most attractive creations, but in the end Lothair remains true to Anglicanism, though held to it by the least colourful of the three ladies. In this choice of a subject, Disraeli reflected and exploited the excitement of the middle decades of the century over an apparent resurgence of Roman Catholicism in England, which came to a social climax with the spectacular conversion of the Marquess of Bute.9 But there was in his book much more of contemporary relevance than just this. Its background is the closing spasm of the Italian Risorgimento, the struggle for the occupation of Rome, and the overthrow of the Temporal Power. Martini (disguised as a fictional character) and Garibaldi appear in its pages and in their struggle Lothair takes part. 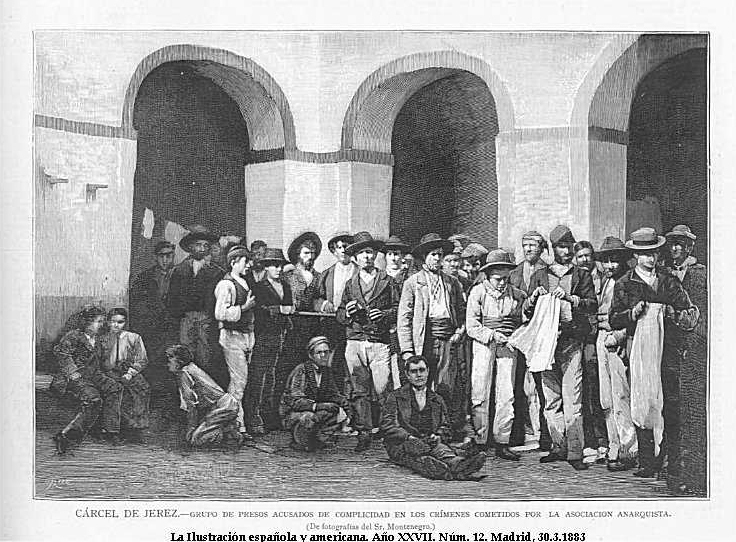 He is wounded at Mentana (the skirmish in November 1867 in which Garibaldi’s invasion of the Papal States was defeated) and is then carried to Rome as a prisoner. There, he narrowly escapes the blandishments and plots of Papal agents who covet his adherence; he is saved by the apparition at night in the Coliseum of a vision of Theodora, who has been killed at Mentana. By way of Palestine, he returns eventually to England and marriage. Throughout the book this romantic tale is unwound against a background of high society and high politics into which the myth of the secret societies is closely woven. In numerous passages they are talked about as a fundamental datum of the European political scene. The words already quoted are spoken by a Papal minister (tipped by another character as a possible successor to Antonelli, the Papal Secretary of State) to someone who seems to be the French ambassador at the Court of St James.10 Elsewhere, another prelate tells Lothair that the secret societies for which he has been fighting have declared war against the Church, the State, and the domestic principle. All the great truths and laws on which the family reposes are denounced. Their religion is the religion of science.’11 Equally dramatic claims for the societies are put into the mouth of one of the revolutionaries in the book, Captain Bruges, whom Disraeli seems to have modelled on Cluseret, a soldier of fortune who was to play a large part in the defence of Communard Paris in 1871. Talking of Marianne, a legendary French secret society, he says that ‘there are more secret societies in France at this moment than at any period since ‘85, though you hear nothing of them’.12 As Lothair was the first novel Disraeli had written for twenty years, a theme which he made as central as this must have impressed him powerfully. Earlier writings show that the secret societies and the threat they presented were not new fears for Disraeli. 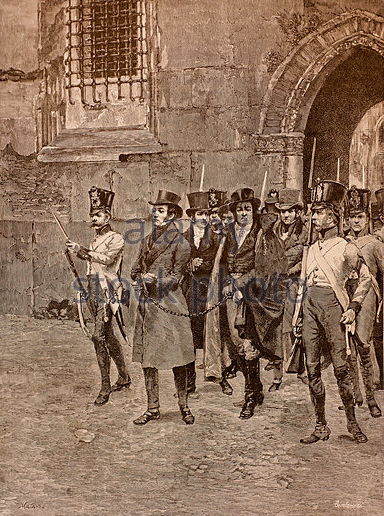 He had already broached the theme twenty years before, in his remarkable life of Lord George Bentinek, a book as revealing of its author as of its subject, the horse-racing, upright aristocrat who had led and focused Tory opposition to Sir Robert Peel. It appeared soon after the revolutionary year, 1848, and Disraeli looked back on that great upheaval and tried to analyse its meaning in a long passage, worth quotation in full. It was neither parliaments nor population, nor the course of nature nor the course of events, that overthrew the throne of Louis Philippe. Amid one of those discontents which are appeased by the sacrifice of a favourite or the change of a ministry, the sovereign and the subjects both in confusion, the king deprived of his wonted energy by a prostrating illness and the citizens murmuring without convictions, the throne was surprised by the secret societies, ever prepared to ravage Europe. The origin of the secret societies that prevail in Europe is very remote. It is probable that they were originally confederations of conquered races organized in a great measure by the abrogated hier-archies. In Italy they have never ceased, although they have at times been obliged to take various forms; sometimes it was a literary academy, sometimes a charitable brotherhood; freemasonry was always a convenient guise. The Inquisition in its great day boasted that it had extirpated them in Spain, but their activity in that country after the first French revolution rather indicates a suspension of vitality than an extinction of life. The reformation gave them a great impulse in Germany, and towards the middle of the eighteenth century, they had not only spread in every portion of the north of that region but had crossed the Rhine. 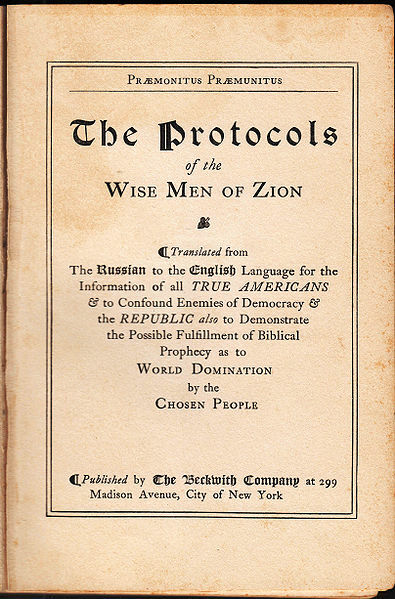 The two characteristics of these confederations, which now cover Europe like a network, are war against property and hatred of the Semitic revelation. These are the legacies of their founders; a proprietary despoiled and the servants of altars that have been overthrown. Alone, the secret societies can disturb, but they cannot control, Europe. Acting in unison with a great popular movement they may destroy society, as they did at the end of the last century. The French disturbance of ‘48 was not a great popular movement. It was a discontent which required nothing more for its solution than a change of ministry: but the sovereign and his subjects were in sudden confusion; the secret associations are always vigilant and always prepared; they took society by surprise, but having nothing really to rely upon except their own resources, the movement however disastrous has been an abortion. Disraeli can be left here. He is an outstanding example of the extraordinary state of mind into which otherwise shrewd and intelligent men could be transported by a belief in secret societies. Paradoxically, he establishes the respectability of our subject. Something so gripping is worth examination. Its obsessive power has been richly illustrated since Disraeli, moreover. Other novelists greater than he turned to the conspiratorial world for their matter or exploited it as a background.16 The stream of bogus revelations and witch-hunting literature has continued to flow right down to our own day and has had great political importance. It affected many conservatives’ views of the nature of the event which defined European politics for nearly a century and a half, the French Revolution. It also inspired liberals to particular kinds of organization and action. The history of church and state would in most countries have read very differently without it even as late as the middle of this century. The politics of the Third Republic and of united Italy seem at times to have expressed themselves quintessentially in the struggle of clericals and freemasons. Elsewhere — in Spain, for example, or Spanish America — the history of political radicalism is riddled with fear of secret societies. Finally, it was above all in Nazi Germany, Soviet Russia, and Vichy France, that these conspiratorial and sectarian obsessions took their most sinister form and showed most strongly the power of the collective dream — or nightmare — of the modern European mind which Disraeli shared and exploited. Such examples suggest, too, that though this essay is above all about the delusions of the directing classes — we are not dealing with a mass phenomenon such as popular anti-semitism or a witch-craze — it is not one whose significance is limited to the margins of intellectual history. It is more than the aberration of a few hundred writers. The myth was able to have great practical and political effects, though indirectly. It may be that there has been in Western society a latent tendency to personify and dramatize its problems, to identify an Enemy, and that this can be evoked very easily. It is at least a possible explanation of the power of men who are themselves believers in mythologies to move masses who are not. Sometimes this is open and explicit: Hitler’s anti-semitism went far beyond political calculation, shrewd though his exploitation of it may have been. The classical Marxism of the first half of this century contained mythological elements whose influence went down deep into labour movements, sometimes driving them in directions wholly opposed to the objective and observable trends of industrial society. No doubt, too, many Russians found it quite credible that their own security service, army, and party should have been led for years by the agents of counter-revolution and capitalism, just because of their absorption of the myth of irreconcilable conflict between social systems. In such instances, it is not necessary that many people should grasp and enunciate the whole detail of the myth. Enough will get through to have political effect as a few simple images and polarizations of the emotions. It is the resonances which await the successful exploiter of mythology which redeem the subject-matter of this essay from triviality. The particular intellectual errors embodied in the mythology of the secret societies are more than mere picturesque embellishments of political debate: they are cultural facts of great significance. Yet the assertions which seemed incontrovertible to Disraeli — and which were shared at the time and have been shared before and since by thousands of other men —have properly been treated by historians as rubbish, and therefore uninteresting. The neglect was proper because the assertions themselves were so obviously based on fantasy: only occasionally and briefly, at moments when the particular acts of particular societies seemed important (as they were in Italy during the Restoration after 1815, or in the United States in the days of the Ku Klux Klan), were they thought to be worth study. For the most part, therefore, the books written about secret societies have been unscientific, sensational, frivolous, infatuated publications. The professional historian has been unperturbed and since he has been so little interested in the positive history of secret societies, it is hardly surprising that their mythical dimension, which is of importance, has been completely ignored. Yet it may be that it was just here, in the illusions and fears they created, and in the dreams cherished about them, that the secret societies exercised their greatest power. The widespread belief in the rubbish talked about them is their most important as well as most interesting feature and it is this belief, and not the societies themselves, which is the subject of this essay. One reason why historians have tended to neglect secret societies is, paradoxically, the very strength of the mythology which grew up about them. Early in the nineteenth century it was still possible for the belief in secret societies to rest on assumptions acceptable to most educated people, even if they did not draw from them the same conclusions. In seeking an explanation of great changes in European society many people accepted the explanation that secret societies were behind them because it was coherent with widespread views about the origins and springs of historical change. Much which seemed mysterious had, traditionally, been explained in terms of plots and conspiracies — in terms, that is, of conscious human agency — and the supposed misdeeds of secret societies fitted easily into this general assumption. Between 1789 and 1848 there was almost everywhere in Europe a great general acceleration of social and political change, a spread of certain common institutions in the place of particular and local ones, and a generalizing of certain ideas which may loosely be called liberal. Educated and conservative men raised in the tradition of Christianity, with its stress on individual responsibility and the independence of the will, found conspiracy theories plausible as an explanation of such change: it must have come about, they thought, because somebody planned it so. Throw in on one side vanity and on the other fear, and the appeal of a theory of historical change based on the activity of secret societies is understandable. This background has now almost completely vanished. In academic circles it disappeared a long time ago. It increasingly affronted the trend of historical thinking. Modern historical scholarship has evolved canons of explanation which make it ab initio unsympathetic to arguments about secret societies or conspiracy except in closely defined and delimited contexts. (It may even be thought to have gone a little too far in this direction.) Historians have long found explanations of historical change satisfactory only if they take account of many considerations other than conscious design. The historian faced with a big change in society now often looks first to social structure and economic patterns; he is sceptical about individual agency except within the firmly delimited framework they provide. He is bound from the start, therefore, to be sceptical about so melodramatic a theory as that of the secret societies. His scepticism easily runs on from merely saying they are not of much importance — which is, perhaps, justifiable in an overwhelming majority of cases — to become an unexamined and dogmatic judgement that they are not worth examination at all, at any level. This parallel suggests another point. Like the secret societies, anti-Semitism is a historical phenomenon that embodies both positive and mythological elements. This book is above all about myth — about what people believed to be the role of the secret societies, however remote this was from reality. Yet scholarly study of any institution usually begins and ends with its positive reality, with what it actually was. In the case of the secret societies, there are important obstacles to arriving at a correct view of this, which have contributed to the primary neglect of them by historians. There is in the first place the nature of such hard evidence as does exist about the political secret societies. It is usually slight and scrappy. The point of a secret organization, after all, is that it is secret; it is not likely either to keep a considerable body of records or to allow the profane to have access to them.18 In many cases the best documentary evidence about secret societies can only be that put together by the police and judiciary in the course of investigation and interrogation. But such evidence is patchy and occasional. Even where it is relatively plentiful — one example would be the mass of material brought to light after the Lombard and Venetian trials of the 1820s — the recorders and investigators had interests different from those of the historian, and a long and very laborious process of accumulation and piecing together of scraps of evidence from scattered sources is necessary before very much solid information about the whole picture can emerge. Even then there are huge gaps in it. It may properly be said that this is not decisive. Historians meet similar difficulties in investigating other problems. Although this is true, the difficulties of getting together evidence are more important in the case of the secret societies because, as we have seen, grave doubts are likely to exist from the start in the minds of historians about whether the subject is worth studying at all. Another difficulty about evidence arises not in connexion with its availability, but with its status and the scepticism it is likely to breed in those who use it. The point on which both the secret societies and the policemen who pursued them could agree was that they were very important. In consequence, a steady factor of exaggeration is usual in the records. Moreover, these difficulties increase the further one goes back. Between the wars, a historian could interrogate for himself surviving members of the Black Hand; for the Carbonari, the positive statements of alarmed policemen and self-important conspirators are a priori suspect, and cannot always be tested against other sources. The content of the evidence about secret societies has also presented a difficulty arising from unfamiliarity. It has required for its interpretation an awareness of a penumbra of assumptions and ideas not always easily recreated. This is especially true of their great age, the period running from the late eighteenth to the mid-nineteenth century, when secret societies actually existed in many countries. We have been, perhaps, only too ready to accept a purely political interpretation of them. We see them as conspiracies arising in response to political needs. But when the whole spectrum of such organizations is kept in view and when the activities of individual societies are studied closely, the importance of their non-political and mythical components is also very striking. 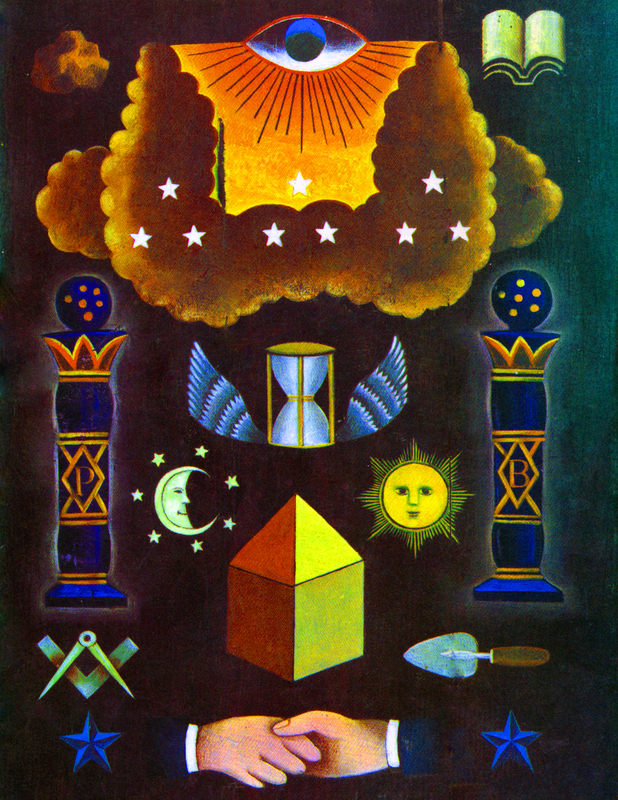 The ritual and symbolic elements are very important; the wide and long-enduring diffusion of a masonic element in these seems, as we shall see, to go far beyond the point at which any merely utilitarian purpose could be served by borrowing. The historian of modern politics is not always well equipped to deal with such matters. A medievalist, an anthropologist, or a historian of art might sometimes be better able to assess the importance of some of the apparently trivial and subsidiary evidence that comes to light in this connection. All of us have presuppositions that make it difficult for us to appreciate social purposes when they are expressed in an unfamiliar idiom, and these constantly ensnare and divert us when dealing with a topic so rich in irrational elements as this. The memory of Mau-Mau is recent and the hints it provides about the risks of interpretation should be present in our minds, but we still find it hard to assess the true dimensions of the oathing rituals of the late eighteenth-century and early nineteenth-century secret societies. We cannot even easily come to grips in our own day with such a notion as the Mafia’s institution of ‘omertà’. We should remember these things, but too often forget them when assessing the intellectual world of the secret societies. It may seem ridiculous to us, but to many intelligent men in the early nineteenth-century freemasonry was as shocking and alarming as Mau-Mau to us a few years ago. These difficulties seem to me to explain much of the neglect of the secret societies by professional historians. Such difficulties could argue for and justify many very different books from this one, which does not aim to fill any of the gaps in our positive knowledge of secret societies themselves. It is an essay, essentially tentative, in tracing the outlines of a subject so far not recognized to exist. It is about the secret societies only in so far as they are the origin of a myth and in dealing with them it is very selective. No one should hope to find here a history of the Carbonari or the Illuminati. It is an attempt to clarify the evolution of a mythology and no doubt the sketch-map, which I hope it will provide, will soon be corrected, improved and then abandoned altogether. Only in speculating about the reasons why the map seems to be of a particular shape should it be thought to go beyond this modest aim. Yet although what follows is not, therefore, a history of secret societies, much of their positive history has had to come in, if only to make it easier to draw the line between myth and reality. The positive and direct impact on politics of secret societies should only be relevant to this book in so far as it shaped the views men took of them and the fears and dreams which resulted, but this line cannot be a clean one and has often had to be crossed in what follows. From time to time, questions about what was believed about secret societies cannot be separated from questions about what they did to give rise to these beliefs, but I have always tried to say as little about positive institutions and events as is necessary to make the mythology comprehensible. Nonetheless, this has often forced me to say quite a lot about subjects where I have had to follow other scholars as best I could. No doubt I have made mistakes in the process, but they should not affect the core of the story. It is the myth, which is the mainstream of this book, and it is my own view that its dominance was the most important thing about the secret societies. It is here that I have tried to make an original contribution of my own by disentangling the relationships of its most important expressions. This seems to me a worthy theme. The mythology was far more important than any of the positive achievements of the secret societies because its grip on the European imagination has had so many and such long-lived consequences. It kept this grip during a period running roughly from the French to the Russian revolutions, and was at the peak of its strength between 1815 and 1848. It is, in fact, as characteristic a cultural product of the age of revolution in Europe as, say, liberalism and has been exported with as much success to other continents. Freemasonry dogged the politics of nineteenth-century Latin America, and the Dutch Reformed Church of South Africa retains a deep suspicion of it. Yet Europe is the cradle of the mythology, and to Europe this book is confined. All that remains to be done before considering the first appearance of the elements of that mythology is to sketch its characteristic outline so that we have an idea of what we seek. 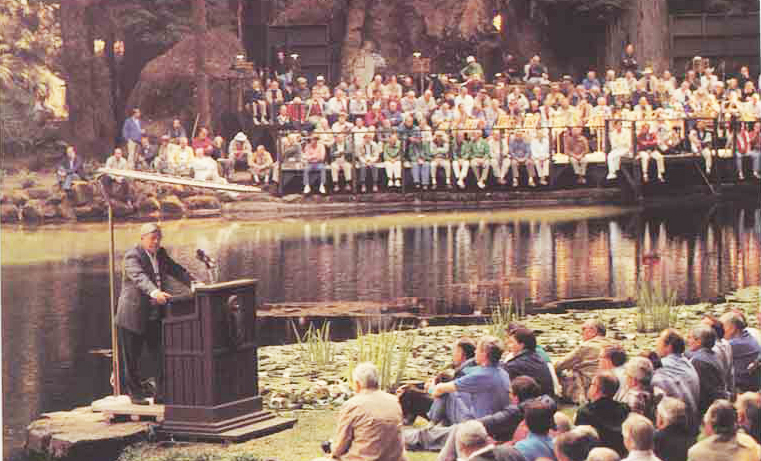 German Chancellor Helmut Schmidt address a meeting of Bohemia Grove members on its 2,712 acre estate in Sequoia Valley, California. 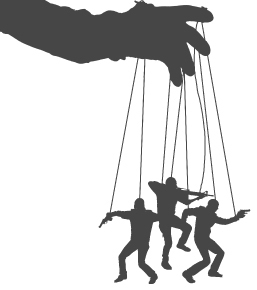 The mythology of the secret societies has many different specific embodiments, religious and non-religious, liberal and conservative, but it is always an example of the `puppet’ theory of politics. It claims that the real makers of events are not the statesmen who strut before the public, but secret directors who manipulate them, sometimes with, sometimes without, their knowledge. These manipulators use their puppets as the instruments of great and usually sinister designs. Sometimes, too, the masses are the puppets and are stirred up to violence by hidden hands. Examination of the events in many countries in the light of this theory reveals (it is believed) that the same patterns are to be seen everywhere, running through both methods and aims. We may therefore predicate not a scattered, inexplicable, series of manipulations, but a central directing plan, a secret organization that is international and integrates its agents in many countries. Many different versions of this secret force have been identified. 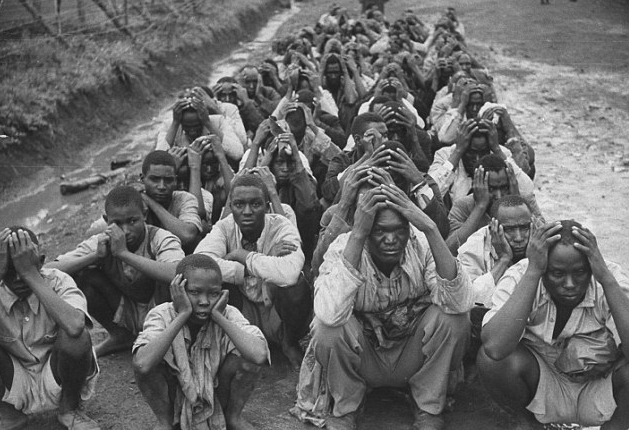 The freemasons, the Jesuits, the Carbonari, the Comintern have all had the blame placed on them at different times. 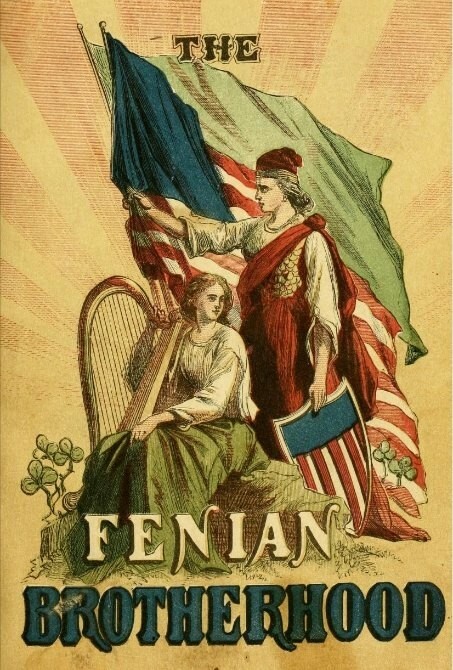 The most ambitious theorists in this tradition have identified conspiracies stretching historically in time across centuries and linking organizations as remote from one another as the Templars and Sinn Fein. But the most popular form of the myth is to identify the enduring secret societies as primarily the agents of political and social revolution. Their great aim, it is asserted, is to sap the stabilizing certainties of society — Church, State, Morality, Property, the Family — and set up a new order. But in all these versions, whatever the particular assertions of any one of them, the same fundamental claim appears beneath the variants — that there is an occult force operating behind the seemingly real outward forms of political life. No discovery, no penetration of the veils of secrecy can ever be assumed to have revealed the full truth about the hidden directors who are, in extreme statements, said to preside even over societies that appear to be in conflict with one another. On the whole, the myth has had an anti-liberal cast, though this has never prevented the emergence of it in liberal versions. Left-wing versions also exist. This is a reflexion of the fact that the myth emerged as an attempt to impose some sort of order on the bewildering variety of changes which suddenly showered upon Europe at the end of the eighteenth and the beginning of the nineteenth centuries and an ordered view was as attractive on one side as the other. This was the age of the invention of modern politics and of the imposition of the Left-versus-Right model, which after a long life only began to lose its usefulness between the two World Wars. It was an age in which European society was changed by economic and technological forces at an accelerating pace. It was one in which the European map was redrawn, the principle of nationality replacing that of proprietorship as the foundation of states, and in which the mass of the population for the first time entered conscious political life. It was also (in part because of these transformations) punctuated violently by war and revolution. On the whole it was people who disliked these changes who felt the greatest need of some exceptional explanation to account for them and they found to hand and eagerly took up elements already in existence since the eighteenth century. These primitive elements, moreover, themselves had a generative force: they actually contributed to the creation and shaping of real secret societies. When these came to light, of course, they gave added plausibility to the myth. In Western Europe in the half-century before 1848 there were indeed real secret societies at work with political aims; they were most important, and most celebrated and feared, in Italy and France. Some of them owed much in their organization, tradition, and procedure to a much older movement, which had already attracted public attention and distrust. It has always provided the most important and enduring themes in the mythology of the secret societies. Through almost the whole history of the myth, from the prurient suspicions of what really went on at eighteenth-century masonic suppers to their condemnation by the nineteenth-century Papacy and the attacks on the movement launched by the Nazis and the Bolsheviks, the freemasons are given a special role and emphasis.19 Although most of the story now to be unravelled runs through an unreal twilit world of legend, fancy, nightmare, and paranoia, its beginnings lie in the commonsensical, enlightened world of the early English freemasons. It is with them that it is best to begin. C. Jannet, Les sociétés secrètes (Paris, 1881), p. 38. See also pp. 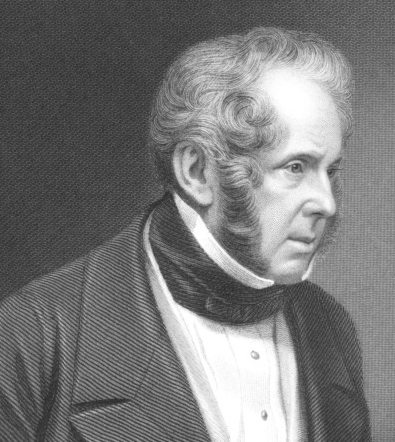 98, 106 for more of the legend about Palmerston, which did not originate with Jannet. In a Belgian edition of 1854 of a German book we find Palmerston described as ‘ Grand-Maître de tous les Maçons de l’univers’. From this it follows that British policy is dictated by freemasonry : ‘Nous avons vu, sous l’impulsion de lord Palmerston, la révolution bouleverser l’Italie, la Sardaigne et surtout la Hongrie’ (E. E. Eckert, La Franc-Maçonnerie dans sa véritable signification (Liège, 1854), ii, pp. 242-3). Though stated more discreetly in recent times, the story has had a long life. See, e.g., J. Berteloot, La franc-maçonnerie et l’église catholique (Paris, 1947) pp. 132-3: ‘en 1859 . . . le ministre franc-maçon Lord Palmerston et l’empereur franc-maçon Napoleon III s’entendirent . Le gouvernement libéral anglais ne fut-il pas le premier à reconnaître le nouveau royaume du Piémont?’ — and, of course, the despoiler of the Papacy. RISS: (Revue internationale des Sociétés Secrétes) I, p. 3. RISS, I, pp. 245, 332, 855. RISS, VIII, p. 12. See also IX, p. 231. Nesta H. Webster, Spacious Days (London, 1949), p. 191. John Patrick, third Marquess, twice Mayor of Cardiff, joined the Roman communion in 1869. h is interesting to note the even greater sensation of 1874, when Lord Ripon, who had resigned from the Cabinet the year before, vacated his office as Grand Master of the freemasons of England and was received as a Roman Catholic a month later. Lothair (Hughenden edn., 1881), p. 275. Lothair, p. 169. For the significance of 1785, see below, Ch. 5. Lord George Bentinck, A Political Biography (London, 1852), PP. 553-4. The speech of 1876 was made at the annual dinner of the Royal and Central Bucks Agricultural Association at Aylesbury on 20 September. After attributing the Serbian attack on Turkey of that year to the secret societies, Beaconsfield went on to say that ‘in the attempt to conduct the government of this world there are now elements to be considered which our predecessors had not to deal with … These are the Secret Societies which at the last moment may baffle all our arrangements —Societies which have regular agents everywhere, which countenance assassination, and which, if necessary, could produce a massacre.’ I am indebted to the Editor of the Bucks Herald for help in consulting a report of the speech in that newspaper (23 September 1876) which, somewhat surprisingly, tells us that the last statement was greeted with cheers. The Possessed, The Princess Casamassima and The Secret Agent are obvious examples. 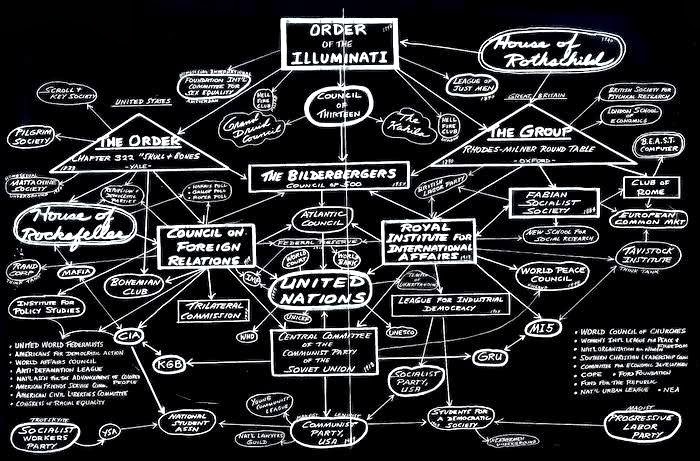 The secret societies mythology has, of course, often appeared in anti-Semitic forms. Few people have been impressed, it seems, by Disraeli’s vision of the societies’ ‘hatred of the Semitic revolution’. More have sympathized with the view propounded in 1912 by a contributor to the Revue internationale des Sociétés Secrètes: `de nos jours, l’histoire des sociétés secrètes est la page magistrale de l’histoire juive’ (I, p. 9). That journal began in 1914 to publish a monthly Partie Judéo-Occultiste. See also below, p. 288. A non-political secret society, of course, may keep voluminous archives to which outsiders may sometimes obtain some access. 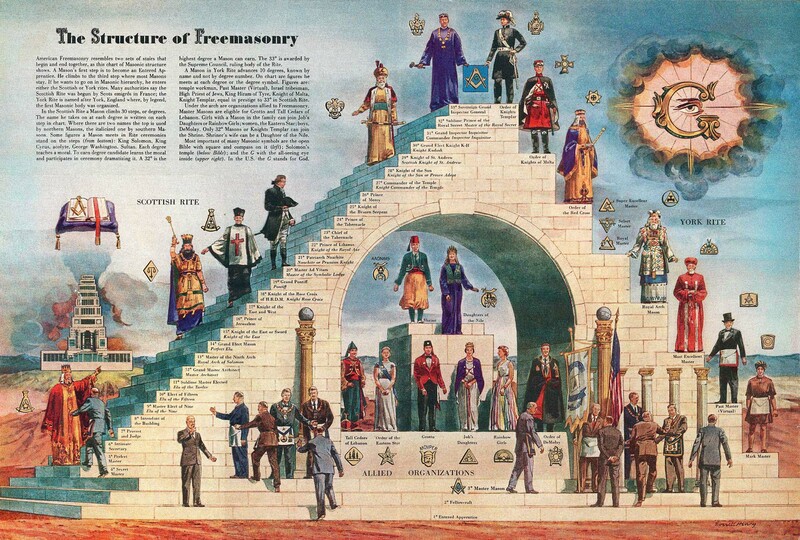 Freemasonry is an obvious example.